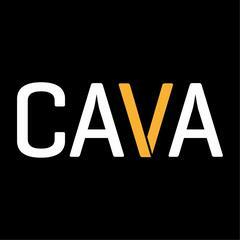 "CAVA fuels full lives through a bold and innovative food culture. <br><br><br><br>We started in a chef’s kitchen, and our culinary roots continue to drive us forward as we empower all eaters to create the meals they’ve been craving.<br><br><br><br>We’re serving customers in 40 fast-casual restaurant locations (and counting!) and you can find CAVA dips + spreads at specialty markets nearby. But we have a thrilling opportunity ahead of us: fueling full lives across the country as we grow.<br><br><br><br>We’re looking for the go-getters, the savorers, the creators, the celebrators, and the explorers to help us do it. From mindful sourcing to craveable recipes, revolutionary tech to authentic customer exchanges, we’re building a team that’s passionate about creating meaningful experiences and sharing good food. Think you’re the one for the job? Then join us."